Lexington accident attorney reminds auto accident victims who are injured while working to make sure employer files worker’s compensation claim and if employer failed to maintain worker’s compensation insurance then make a claim with the state. As a Lexington Accident Attorney, I have observed that employers are failing to report work-related auto accidents and truck accidents to their workers’ compensation insurance companies in order to avoid rising workers’ compensation rates. Due to difficult economic circumstances, you may see employers canceling their workers’ compensation insurance to save on expenses or not reporting the accident to the workers’ compensation carrier. One of my clients experienced this problem. He had a truck accident while at work and his employer told him to submit his medical expenses to the health insurance carrier and simply never mentioned anything about a workers’ compensation claim. Once he retained me as his Lexington Accident Attorney, I immediately requested the employer to notify the workers’ compensation carrier of the accident. When the workers’ compensation carrier investigated the claim, the employer misrepresented that my client had never indicated he was injured in the work-related accident. Ultimately, a worker’s compensation claim was made and paid. If you are involved in an auto accident, motorcycle accident or truck accident at work, you should ask your employer for the contact information for the workers’ compensation carrier or simply make sure that they file the notice of claim form with the workers’ compensation carrier. Request a copy of the notice. If your employer fails to notify your workers’ compensation carrier or tells you they do not have workers’ compensation insurance, then you need to contact Lexington Accident attorney Matt Troutman of the Troutman Law Office and he will file a workers’ compensation claim with the Department of Workers’ Claims. There is an uninsured employers fund that will pay your workers’ compensation benefits and then obtain reimbursement from the employer. The employer should also be reported to the state so they are required to maintain workers’ compensation insurance. As a Lexington Accident Attorney, I am aware of the significant benefits that workers’ compensation benefits can provide for you when you are injured at work. 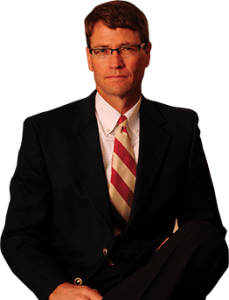 If you need a lawyer for a Lexington accident, contact Matt Troutman or by email at troutlaw3550@gmail.com.